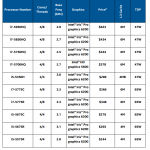 Intel's Broadwell: Incredible efficiency, at the 14 Nm process! 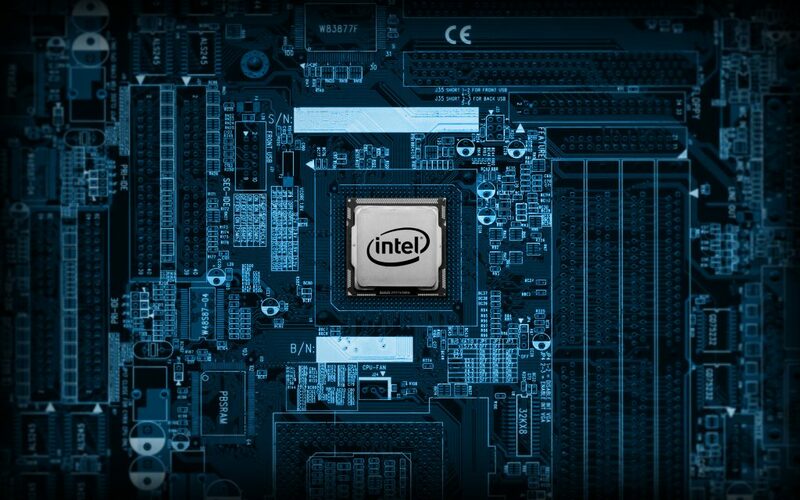 Intel has just released the Broadwell line of CPU’s, that are significantly more efficient and have a much better iGPU- the Intel HD 6200 GPU. This is quite the improvement to GPU performance for Intel and does this while having the same or lower TDP as previous iGPU solutions from Intel. New lineup, new specs, Better efficiency! 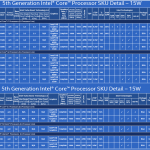 15 watt Laptop Broadwell CPU specs! 47 Watt laptop, and 65 Watt desktop Broadwell CPU’s! The specs of the new CPU’s are not terribly impressive on the desktop CPU side, offering up a new iGPU, and minor change in l3 cache (6 Mb vs the 8 MB on earlier generations), and support for DDR3 (but not DDR4). The much more interesting to see CPU’s are the Broadwell Laptop CPU’s, which at the high end offer nearly identical specs as the desktop counterpart! This is very impressive, and having a quad-core with HyperThreading CPU that has 6 MBs of L3 cache, and a seriously impressive iGPU on board mean that ultrabooks and gaming laptops will have some very good performance in the near future! This is very exciting, to see a laptop CPU that is identical to the desktop counterpart in nearly every way, and the speed of such a CPU is sure to be ground-breaking. Perhaps the need for crazy systems like that of what Pro-Star (CLevo) has been known for making- a laptop with a full desktop CPU, will no longer be needed. Since the Broadwell laptop and desktop CPUs are nigh on identical to each other, it will not be necessary to do such an impressive modification. Intel’s Broadwell is efficient, but not all that much faster than Haswell. From the benchmarks that many have run, the desktop Broadwell CPU’s are actually slower than Haswell at stock speeds. This is due to a lower speed out of the box, and this can be remedied by overclocking! The new Broadwell chips are very good overclockers, hitting upwards of 6 Ghz on Hwbot.org, but even when overclocked, the difference between Haswell and Broadwell still remains at a small 5-7%. 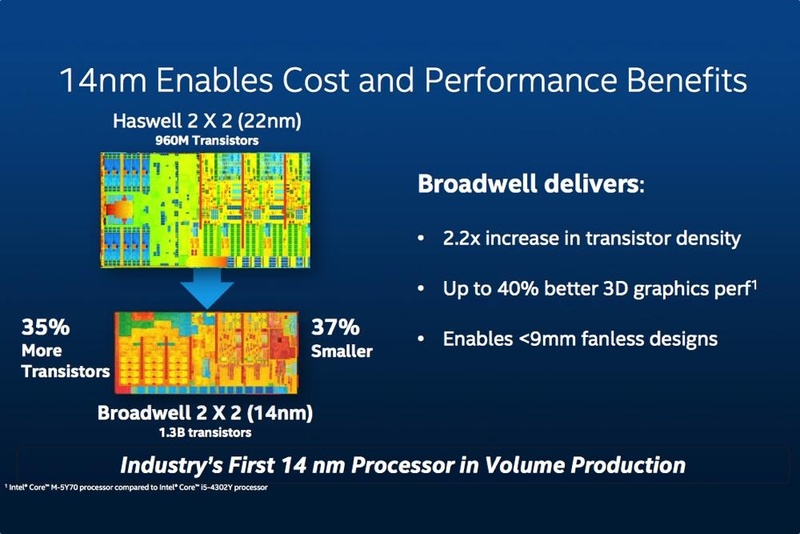 This is very small for an architectural jump from 22 nm to 14 nm, but the real benefit is power efficiency on Broadwell. The CPUs are at a default voltage of 65 watts, and perform very close (if a bit worse than) the 88 watt 4790k. This is a 23-watt power reduction, for almost the same performance, which is great! Intel’s Hd 6200- a good iGPU? The Intel HD 5200 Pro GPU is quite the impressive iGPU, but had nowhere near the performance of the even fairly low-end GPU solutions from AMD and Nvidia. Now, the Iris HD 6200 GPU is going to be a very powerful iGPU compared to any previous Intel GPU, and may even beat low-end dedicated GPU’s from Nvidia and AMD! The performance of the HD 6200 has yet to be really shown off, but with specs that are very good compared to the HD 5200 GPU, the Iris HD 6200 iGPU from Intel should fit in nicely between the performance of an Nvidia GT 920m and a GT 940m. This would make it a power-house of a GPU for ultrabooks, and even should suffice for decent gaming at 1080p at High settings for most games. With a few exceptions, like Crysis 3 or GTA V, games should be able to be at the very least played at 40-60 FPS on Medium at 1080p. This is quite an achievement for Intel, and will make notebooks much more capable than previously possible, especially in the thin-and-light, and Ultrabook sectors. The specs of the Iris HD 6200 are listed in this earlier article: Intel HD 6000 series iGPUs! 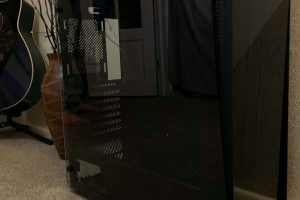 What are your thoughts on Broadwell? 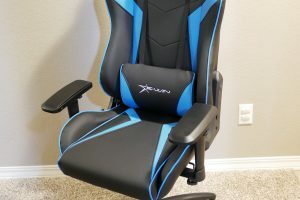 Let us know what you think in the comments down below!